There’s still more drama in store for the doctors at Seattle Grace Hospital. ABC has renewed Grey’s Anatomy for a ninth season on the network. The medical drama’s ratings have come down this season but it’s still the alphabet network’s second-highest rated scripted series. Season eight is averaging a 3.5 rating in the coveted 18-49 demographic with 9.76 million total viewers. Year-to-year, the show is down by 15% in the demo (vs a 4.1 rating) and down by 13% in total viewers (vs 11.23 million). On our ABC Ratings Report Card, which measures the relative performance of scripted and non-scripted shows on the network, Grey’s Anatomy has an “A+” grade. There’s just no way that they would be letting this one go — even if some of the castmembers didn’t re-sign. How long should Grey's Anatomy go? This week, stars Ellen Pompeo, Patrick Dempsey, Sandra Oh, Justin Chambers, James Pickens Jr. and Chandra Wilson recently closed deals for two more seasons of Grey’s Anatomy. Unless next season’s ratings take a big nose dive, Grey’s is very likely to be renewed for a 10th season. ABC announces their 2012-13 schedule next week so we’ll find out more details about the renewal at that time. Presumably Grey’s Anatomy will stay in its usual timeslot. The eighth season finale of Grey’s airs next week. The fates of Shonda Rhimes’ other two shows — Private Practice and Scandal — are still up in the air. What do you think? Are you glad that Grey’s Anatomy has been renewed? How long do you think this medical drama should run? Through season nine, until season 10 or until it runs out of gas and is cancelled? Don’t cancel! Keep the episodes coming at least another 3, 4 seasons! Love the show and cast. Please do not stop making the show. Make it the biggest show who has the biggest fans ever in history! Love Love Love this Show !!! !Hope it continues for a long long time. I knew of Grey’s but never had the time to watch it. So last year I bought the dvd’s and started watching it and just could not get enough of it. It is an addiction and the Grey’s team is still doing a great job. So as long as the show runs I will be a faithful view. I can’t wait for Season 9. I have watched Grey’s since the first episode. I love Grey’s, but it has gotten a little boring. I will be sad to see it go when it does but then again i will be relived because i can finally live free on my Thursday nights. I will never give up on Grey’s while its still on air. All time favorite . We watch it faithfully every week, even if we have to DVRit and watch later! I have not missed one Grey’s Anatomy Episode since season 3. It is like they are my family now. I hated to see the end of the past season, when all the doctors moved away. It felt like anyone who stayed had reached the end of their lives. Then, there is the crashed airplane scene. 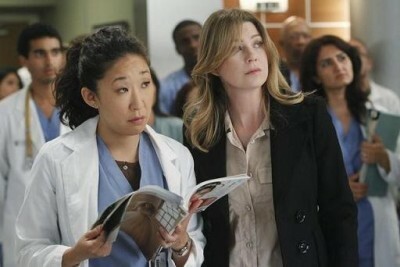 The problem with this season was that the gravity center shifted from Meredith and Shepherd to the others. Also, we are attached so some characters. If they remove them now, the show will kill itself. Sooooo excited!! I think it should run as long as it has viewers. It is my favorite!! I LOVE GREY’S ANATOMY. the moment it’s gone, is the moment i will be verrrrrry very sad. 🙁 do ratings show up on hulu? because i know that is a very common way of watching. i don’t watch grey’s on a real tv, i just watch it on hulu. soo… it would be stupid if nine is the last one. I love Greys anatomy. Watched since day 1. I think the reasons for the low rating is because 1. Some times the story line gets boring 2, they don’t play new exposes every week. They go 3-4 weeks without a new show!